At Best UK Live Casinos we provide you with all the information you need to play Blackjack Live online if you are a Blackjack beginner. 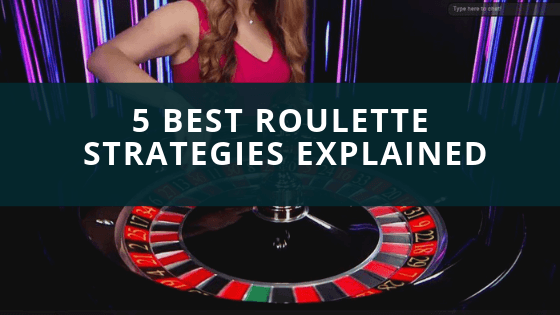 We explain the rules of live blackjack and how you can play in any UK online casino but also giving you some information about strategy and tips for playing live blackjack. The term Blackjack covers a wide variety of card games based on the same objective – to compile a hand of cards totaling 21, or as near to 21 as possible, and to beat the dealer’s hand at the same time. When playing online blackjack the player begins the game with a hand of two cards. The ace card can be counted as either 1 or 11, (to help you achieve the aim of getting to a total of 21), the picture cards can be counted as 10 each and the numbered cards 2-10 are counted at their face value. You reach 21 by adding up the values of the cards and the winner is whoever has closest to 21. If the cards held by the player add up to more than 21 this is referred to as “busting” or “breaking”. A hand that “busts”, whether it is a player or dealer hand, automatically loses. If the dealer “busts” by going over 21 before you, then your hand is the automatic winner. If a player is given a pair of the same value he/she may split them into two separate hands, and they can play these separately for similar stakes. The splitting rules can differ from game to game. With our help and guidance you can soon play blackjack online with confidence and begin with a basic version of blackjack such as blackjack classic or European blackjack. Each player takes turns to take a card to try and get closer to 21 without ‘busting’. Players who do not bust wait for the dealer’s turn. When all the players have finished the dealer turns over the face down card. The rule is that on counts of 17 or higher, the dealer must stay and on counts of 16 or lower the dealer must draw. The Player acts before the dealer, in the following ways: the player can ‘hit’, or draw (take) additional cards; or ‘stand’ which means to choose not to take more cards; or ‘double’, in which they double the original bet – and are given one additional card. You can play live blackjack online by downloading the required software and installing it or through instant flash games (no download required). There can be up to 6 players at a blackjack table and before receiving any cards players must place a wager or bet. The dealer then deals the players 2 cards each face up, and the dealer gets one face up and one face down. If the player gets 21 with the first 2 cards, by being dealt a 10 or a face and an Ace, the player wins automatically and this is called ‘Blackjack’. If you get ‘Blackjack’ you win one and one-half times your bet, unless the dealer also has ‘Blackjack’; in this case it is a ‘Push’ or a ‘Tie’ or stand-off, and you get your bet back. In each game of blackjack the remaining players with a higher count than the dealer win an amount equal to their bet and players with an amount lower that the dealer loses their bet. If the dealer busts then all the remaining players win. Other betting options include: Insurance, Surrender, Double Down, Even Money and Split and these terms are now explained. The blackjack betting options below can be found in a variety of live blackjack variations. Insurance: a side bet with a value of up to half the initial bet against the dealer having a natural 21 – allowed only when the dealer’s showing card is an Ace. If the dealer has a 10 face down and makes a blackjack. Insurance pays at 2-1 odds but loses if the dealer does not. Late Surrender: The dealer first checks to see if he/she has blackjack. If the dealer has blackjack surrender is not permitted. Double Down: is where you can double your initial bet, following the initial two-card deal but you can only hit one card. This is a good bet for the player who is in a strong situation. Most casinos will allow you to double down on any two cards. Some casinos will let you double down after splitting and some will limit your doubling down to hands that total 10 or 11. A condition to doubling down is that you must taken one additional card and you cannot receive more than one. Even Money: Is when you cash in your bet immediately at 1:1 payout ratio when you are dealt a natural blackjack and the dealer’s hand is showing an Ace. Split Hand: if you split the initial two card hand into two and play them separately (only allowed when the first 2 cards are of equal value) you use each card as the start to a separate hand and place a second bet, equal to the first. Hard Hand: is a Hand without an Ace, or if the Ace is valued at one, the hand is said to be hard as it can only be given one value, unlike a Soft Hand. (It is your choice to value your Ace at either one or 11). Soft Hand: a hand that contains an Ace which you want to count as 11 is called a Soft Hand. 2 cards being either a face (picture card) and an Ace, or a 10 and an Ace = 21 is a typical blackjack. 3 cards where you have a 5, an Ace and a 10 and this become a Hard Hand. Some UK Casinos will give you the chance to play live blackjack with side bets like the Perfect Pairs bet. This is a blackjack side bet which can be played on a standard blackjack table and does not require the main game rules to be changed. The Perfect Pairs bets are decided and dealt with at the completion of the initial deal. The Perfect Pairs bets are made before any cards are dealt and must be supported by a regular Blackjack bet on the same betting box. A Perfect Pairs bet wins if the first two bets dealt to the player’s Blackjack hand are a pair and it loses it they are not a pair. With a MIXED pair of 1 red suited card and 1 black suited card – different colour and same number value. A mixed pair pays 5-1. A COLOURED pair has 2 cards of the same colour but different suits – same colour and same number value. A coloured pair pays 10-1. So now that you know the basics of Live Blackjack Online you can open an account and play at one of the Best UK Live Casinos we are listing! We are listing the best live casino sites that offer great range of live dealer games and fantastic casino bonuses!